Presentations – Antonio E. Puente, Ph.D.
Puente, A. E., & Cooperman, M. (1980, March). Characteristics of Hispanic mental health professionals in the state of Florida. Presentation at the 44th annual meeting of the Florida Academy of Sciences, Tampa, FL. Puente, A. E., Sanders, C., & Lund, N. (1980, November). Differentiation of schizophrenics with and without brain damage using the Luria-Nebraska Neuropsychology Battery. Presentation at the 7th annual meeting of the Society for Neuroscience, Anaheim, CA. Freedland, J., & Puente, A. E. (1981, October). Luria-Nebraska and WAIS. Presentation at the 1st annual meeting of the National Academy of Neuropsychology, Orlando, FL. Puente, A. E., & Heidelberg-Sanders, C. (1981, October). The use of the Luria-Nebraska Neuropsychological Battery and the Wechsler Index of Schizophrenic Thinking in detecting brain damage if schizophrenics. Presentation at the 1st annual meeting of the National Academy of Neuropsychology, Orlando, FL. Burke, E., & Puente, A. E. (1982, April). A survey of demographic and psychological characteristics of runners. Presentation at the meeting of the Carolina’s Conference, Raleigh, NC. Hendrickson, J., & Puente, A. E. (1982, April). The Luria-Nebraska neuropsychological battery: A crisis in clinical neuropsychology? Presentation at the meeting of the Carolina’s Conference, Raleigh, NC. Puente, A. E. (1982, October). Neuropsychological testing: Applications for the diagnosis of both organic (brain damage/OBS) and functional (psychological) disorders. Presentation at the meeting of The NOSSCR Conference, Coronado, CA. Puente, A. E., & Hicks, C. (1982, October). Detection of brain damage in psychiatric populations. Presentation at the 2nd annual meeting of the National Academy of Neuropsychology, Atlanta, GA.
Puente, A. E. (1983, August). An introduction to clinical neuropsychology. Presentation at the meeting of the Fulbright-Sponsored Seminar at the Instituto Superior “Juan XXIII,” Bahia Blanca, Argentina. Puente, A. E. (1983, October). Neuropsychological profiles of mentally-impaired, brain-damaged individuals who have successfully appealed Social Security disability terminations. Presentation at the 3rd annual meeting of the National Academy of Neuropsychology, Houston, TX. Puente, A. E. (1983, October). Social Security disability determinations: A neglected area for clinical neuropsychology. Presentation at the 3rd annual meeting of the National Academy of Neuropsychology, Houston, TX. Puente, A. E. (1983). The Orange Park Yerkes Primate Center: A dying legacy. Presentation at the meeting of the Southern Society for Philosophy and Psychology, Atlanta, GA.
Puente, A. E., & Peacock, L. J. (1983, April). EEG hemispheric activation in schizophrenia. Presentation at the meeting of the Southern Society for Philosophy and Psychology, Atlanta, GA.
Puente, A. E. (1984, August). Agenesis of the corpus callosum: Assessment and remediation of school-related problems. Presentation at the 92nd annual convention of the American Psychological Association, Toronto, Canada. Puente, A. E., Brown, R., & Hood, G. (1984, August). Admission to southern black and white insane asylums 1856-1910. Presentation at the 92nd annual convention of the American Psychological Association, Toronto. Puente, A. E., & Glancy, M. (1984, October). The role of the clinical neuropsychologist in disability determination: The legal perspective. Presentation at the 4th annual meeting of the National Academy of Neuropsychology, San Diego, CA. Puente, A. E., & Peacock, L. J. (1984, October). Interval histogram analysis of EEG hemispheric activity in schizophrenia. Presentation at the meeting of the NATO Advanced Research Workshop on Individual Differences in Hemispheric Specialization, Maratea, Italy. Puente, A. E., Tune, L., Orrell, T., & Hendrickson, J. (1984, October). The relationship between LNNB scale scores and neuroleptic dosage levels in schizophrenics. Presentation at the 4th annual meeting of the National Academy of Neuropsychology, San Diego, CA. Puente, A. E. (1985, March). Status of Hispanic psychologists in the Southeast. In J. Sancez-Hucles (Chair), Professional development and minority faculty members. Symposium conducted at the 31st meeting of the Southeastern Psychological Association, Atlanta, GA.
Puente, A. E., Forbes, J., Glancy, M., Ganly, D. M., Greer, G., & Congdon, M. (1985, March). Psychological determination of Social Security Disability. Presentation at the Spring Conference meeting of the North Carolina Psychological Association, Raleigh, NC. Puente, A. E., Horton, A. M., Jr., & Caison, K. (1985). Differentiation of brain-damaged and non-brain damaged outpatients using the MMPI P-O Scale. Presentation at the meeting of the Association for Behavioral and Cognitive Therapies, Houston, TX. Puente, A. E., & Kragh, G. S. (1985, October). Neuropsychological and neurological analysis of Gilles de la Tourette syndrome in a brain damaged, mentally-handicapped individual. Presentation at the 5th annual meeting of the National Academy of Neuropsychology, Philadelphia, PA.
Puente, A. E., & Tune, L. (1985, October). The relationship between neuroleptic blood serum and dose CPZE levels and Luria-Nebraska Neuropsychological Battery performance. Presentation at the 5th annual meeting of the National Academy of Neuropsychology, Philadelphia, PA.
Valenti, A., Butler, E. G., Rodenbough, J., Anderson, A., & Puente, A. E. (1985, March). Assessment in clinical neuropsychology: The importance of individual differences. Presentation at the Spring Conference meeting of the North Carolina Psychological Association Joint, Raleigh, NC. Puente, A. E. (1986, August). Continuing education in the North Carolina Psychological Association. Presentation at the 94th annual convention of the American Psychological Association, Washington, DC. Puente, A. E., & Horton, A. M., Jr. (1986). Efficacy of three MMPI “organic” subscales for the differentiation of organic from psychiatric outpatients. Presentation at the meeting of the Southeastern Psychological Association Meeting, Orlando, FL. Puente, A. E., & Rodenbough, J. (1986). LNNB performance in schizophrenic subgroups. Presentation at the 6th annual meeting of the National Academy of Neuropsychology, Las Vegas, NV. Puente, A. E., & Rodenbough, J. (1986). Relationship between LNNB scale scores and chlorpromazine equivalents in acute schizophrenia. Presentation at the 6th annual meeting of the National Academy of Neuropsychology, Las Vegas, NV. Puente, A. E., & Heller, S. (1987, February). Neuropsychological analysis of an idiot savant. Presentation at the meeting of the International Neuropsychological Society, Barcelona, Spain. Puente, A. E., & Rodenbough, J. (1986, October). LNNB performance in schizophrenic subgroups. Presentation at the 6th annual meeting of the National Academy of Neuropsychology, Las Vegas, NV. Puente, A. E., & Heller, S. (1987, February). Neuropsychological analysis of an idiot savant. Presentation at the 15th annual meeting of the International Neuropsychological Society, Barcelona, Spain. Puente, A. E., Rodenbough, J., & Horton, A. M. (1987, February). Efficacy of the Sc, Pseudoneurologic, Sc-0, and the P-0 Scales in differentiating somatoform, brain-damaged, schizophrenics, and brain-damaged outpatients. Presentation at the 15th annual meeting of the International Neuropsychological Society, Barcelona, Spain. Puente, A. E. (1988). Clinical neuropsychology in inpatient settings: Implications for differential diagnosis. Presentation at the meeting of the Veteran’s Administration Medical Center, San Juan, Puerto Rico. Puente, A. E. (1988). Clinical neuropsychology seminar: An introduction to assessment. Presentation at the meeting of the Centro Caribeno de Estudios Postgraduados, San Juan, Puerto Rico. Puente, A. E., & Heller, S. (1988, August). Hispanics and neuropsychology: Bridging the gap. Presentation at the meeting of the Southeastern Psychological Association, New Orleans, LA. Puente, A. E., & Heller, S. (1988, August). Hispanic neuropsychology: A contradiction in terms. Presentation at the 96th annual convention of the American Psychological Association, Atlanta, GA.
Puente, A. E., & Horton, A. M., Jr. (1988, April). Introduction to clinical neuropsychology: A guide to practitioners. Presentation at the Spring Conference meeting of the North Carolina Psychological Association at Research Triangle Park, Durham, NC. Puente, A. E., & Ludwig, L. (1988, August). Role of the neuropsychologist in Social Security disability evaluation. In A. M. Horton (Chair), Private practice of neuropsychology. 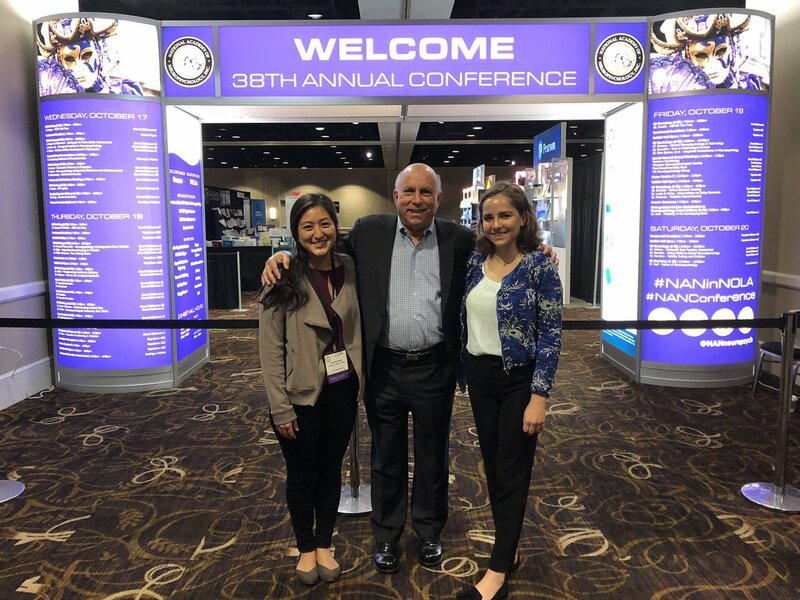 Symposium conducted at the 96th annual convention of the American Psychological Association, Atlanta, GA.
Puente, A. E., & Sciara, A. (1988, April). Hospital and forensic practice in North Carolina. Presentation at the Spring Conference meeting of the North Carolina Psychological Association at Research Triangle Park, Durham, NC. Puente, A. E. (1989, May). Forensic issues in head trauma: Neuropsychological perspectives of social security disability and workers’ compensation. Presentation at the 6th Mid-South Conference on Human Neuropsychology, Memphis, TN. Puente, A. E. (1989). The relevance of neuropsychological data: A legal perspective. Presentation at the meeting of the Nebraska Psychological Association, Lincoln, NE. Puente, A. E., Godoy, J. F., Catena, A., & Caballo, V. (1989, August). Auditory discrimination, attention, learning, and memory in paranoid schizophrenics. Puente, A. E. (1990). APA’s Division 40: Criteria and definition of neuropsychology and ABPP certification in neuropsychology. Presentation at the meeting of the Neuropsychological Workshop, Atlanta, GA.
Puente, A. E. (1990, November). CPT for clinical neuropsychological services: A proposed model. Presentation at the 10th annual meeting of the National Academy of Neuropsychology, Reno, NV. Puente, A. E. (1990, September). Estrategias de evaluacion en neuropsicologia clinica. Presentation at the meeting of the Ijornadas Nacionales de Neuropsicologia Clinica y Funciones Cerebrales, Almeria. Puente, A. E. (1990, March). Mandatory continuing education. Presentation at the meeting of the American Psychological Association State Leadership Conference, Arlington, VA.
Matthews, J. R., Davis, S. F., Halonen, J., & Puente, A. E. (1991, August). Covering classes missed because of professional involvement: Illustrations and discussion. Presentation at the 99th annual convention of the American Psychological Association, San Francisco, CA. Puente, A. E. (1991). A first course in clinical neuropsychology. Presentation at the meeting of the Southeastern Conference on the Teaching of Psychology, Marietta, GA.
Puente, A. E. (1991). Changing perspectives on brain and consciousness: Sperry’s downward causation as a new explanation for dualism. Presentation at the meeting of the Southern Society for Philosophy and Psychology, Atlanta, GA.
Puente, A. E. (1991, August). Clinical neuropsychological reimbursement, a model for using Current Procedural Terminology. Presentation at the 99th annual meeting of the American Psychological Association, San Francisco, CA. Puente, A. E., Matthews, J., Palladino, J., & Rogers, R. (1991). Getting involved in professional organizations related to teaching. Presentation at the meeting of the Southeastern Conference on Teaching of Psychology, Marietta, GA.
Fernandez, M., Cantena, A., Puente, A. E., & Godoy, J. F. (1992). Discriminacion entre esquizofrenicos y otras patologias por medio del indice del pensamiento esquizofrenico de Whitaker (WIST). Presentation at the meeting of the Congreso Iberoamericano de Psicologia, Madrid, Spain. Fernandez, M., Muela, J. A., Roldan, G., Catena, A., Puente, A. E., & Godoy, J. F. (1992). Discriminacion entre esquizofrenicos y normales por medio del indice del pensamiento esquizofrenico de Whitaker (WIST). Presentation at the meeting of the Congreso Iberoamericano de Psicologia, Madrid, Spain. Godoy, J. F., Mari-Beffa, P., Prez, M., Muela, J. A., Sanchez-Barrera, M. B., & Puente, A. E. (1992). Attentional factors in multiple sclerosis. Presentation at the meeting of the Jornadas Medicas de Estudio de la Esclerosis Multiple, Granada, Spain. Godoy, J. F., Mari-Beffa, P., Prez, M., Muela, J. A., Sanchez-Barrera, M. B., & Puente, A. E. (1992). Verbal memory deficits in multiple sclerosis. Presentation at the meeting of the Jornadas Medicas de Estudio de la Esclerosis Múltiple, Granada, Spain. Puente, A. E. (1992, August). 100 Years of the teaching of psychology. Presentation at the 100th annual convention of the American Psychological Association, Washington, DC. Puente, A. E. (1992, August). A final model for billing neuropsychological services. Presentation at the 100th annual convention of the American Psychological Association, Washington, DC. Puente, A. E. (1992). Managing mental health in the workplace. Presentation at the 6th annual National Disability Management Conference and Exhibit, Arlington, VA.
Puente, A. E. (1992). Psychological assessment of disability. Presentation at the 6th annual National Disability Management Conference and Exhibit, Arlington, VA.
Puente, A. E. (1992, August). The recruitment, retention, and training of ethnic minority students. Presentation at the 100th annual convention of the American Psychological Association, Washington, DC. Glancy, M. L., Katz, N., Puente, A. E., & Rabinove, A. (1993). The role of the psychologist in disability cases. Presentation at the Spring National Conference of the NOSSCR, Washington, DC. Harris, J. G., Cullum, C. M., & Puente, A. E. (1993, February). Effects of bilingualism on verbal learning and memory in Hispanic adults. Presentation at the 21st annual meeting of the International Neuropsychological Society, Galveston, TX. Iruarrizaga, I., Miguel-Tobal, J. J., Cano, A., Muñoz-Céspedes, J. M., & Puente, A. E. (1993). Evaluación del deterioros neuropsicológicos en el alcoholismo crónico. Presentation at the 2nd meeting of El Congreso de Psicología Conductual, Islas Baleares. Miguel-Tobal, J. J., Cano, A., Muñoz-Céspedes, J. M., Iruarrizaga, I., & Puente, A. E. (1993).Características generales de la batería de evaluación neuropsicológica Luria-Madrid. Presentation at the 2nd meeting of El Congreso de Psicología Conductual. Palma de Mallorca. Muñoz-Céspedes, J. M., Miguel-Tobal, J. J., Cano-Vindel, A., Iruarrizaga-Díez, I., & Puente, A. E. (1993). Evaluación del deterioro neuropsicológico en la demencia senil tip Alzheimer. Presentation at the 2nd meeting of El Congreso de Psicología Conductual. Palma de Mallorca. Puente, A. E. (1993). Assessment of brain dysfunction in Hispanics. Presentation at the University of Pittsburgh, Pittsburgh, PA.
Puente, A. E. (1993, October). Ethics in neuropsychology: A cross-cultural perspective. Presentation at the 13th annual meeting of the National Academy of Neuropsychology, Phoenix, AZ. Puente, A. E. (1993). Suggestions for neuropsychological billing. Presentation at the Fall Conference meeting of the Colorado Neuropsychological Society, Boulder, CO.
Puente, A. E. (1993). Treatment of substance abuse disorders. Presentation at the meeting of Psychopathology, Psychopharmacology, Substance Abuse, and Ethnicity. Los Angeles, CA. Puente, A. E., & Marcotte, A. C. (1993, August). Current Procedural Terminology: Update for testing and suggestions for therapy. Presentation at the 101st annual meeting of the American Psychological Association, Washington, DC. Puente, A. E. (1994, August). In M. O. Ponton (Chair), Future of neuropsychology with Hispanic populations. Symposium conducted at the 102nd annual meeting of the American Psychological Association, Los Angeles, CA. Puente, A. E., Keith, J., Tamisiea, R., & Tuttle, A. (1994, July). Awareness of neuropsychological function in coronary artery bypass graft surgery. Presentation at the meeting of the 23rd meeting of the International Congress of Applied Psychology, Madrid, Spain. García, J., Perez, M., Godoy, J. F., Puente, A. E., & López, M. (1995, April). Eficacia discriminativa de una versión española de la batería Luria-Nebraska en sujetos con accidentes cerebrovasculares. Poster presentation at the meeting of the II Congreso Internacional y Congreso Nacional de Psicologia Conductual, Granada, Spain. García, J., Perez, M., Godoy, J. F., Puente, A. E., & López, M. (1995, April). Eficacia discriminativa de una versión española de la batería Luria-Nebraska en sujetos con demencias. Poster presentation at the meeting of the II Congreso Internacional y Congreso Nacional de Psicología Conductual, Granada, Spain. García, J., Perez, M., Godoy, J. F., Puente, A. E., & López, M. (1995, April). Eficacia discriminativa de una versión española de la batería Luria-Nebraska en sujetos con traumatismo craneoencefálico. Poster presentation at the meeting of the II Congreso Internacional y Congreso Nacional de Psicología Conductual, Granada, Spain. García, J., Pérez, M., Godoy, J. F., Puente, A. E., & López, M. (1995, April). Eficacia discriminativa de una versión española de la batería Luria-Nebraska en sujetos con tumores cerebrales. Poster presentation at the meeting of the II Congreso Internacional y Congreso Nacional de Psicología Conductual, Granada, Spain. Puente, A. E. (1996, August). An unstable future for neuropsychological reimbursement. In R. L. Kane (Chair), Clinical neuropsychology: An anachronism. Symposium conducted at the 104th annual meeting of the American Psychological Association, Toronto, Canada. Puente, A. E. (1996, May). Neuropsicología clínica: Perspectivas actuales. Presentation at the meeting of the Master y Especialista en Intervención en Ansiedad y Estrés. Alicante, Spain. Puente, A. E. (1996, May). Neuropsicología: Problemas y perspectivas. Presentation in Madrid, Spain. Puente, A. E. (1996, October). Reimbursement for neuropsychological services. Presentation at the 16th annual meeting of the National Academy Neuropsychology, New Orleans, LA. Puente, A. E. (1996). Stress management and conflict resolution. Presentation at the meeting of Wilmington Health Associates, Wilmington, NC. Puente, A. E. (1996). The future of reimbursement for mental health and substance abuse services. Presentation at the Conference on Psychopathology, Psychopharmacology, Substance Abuse, and Culture, Los Angeles, CA. Puente, A. E. (1996, November). Update on the CPT and National Health Policy Affecting Neuropsychology. Presentation at the 16th annual meeting of the National Academy Neuropsychology, New Orleans, LA. McKinzey, R. K., Roecker, C. E., Puente, A. E., & Rogers, E. B. Performance of normal adults on the Luria-Nebraska Neuropsychological Battery, Form I. (1997, November). Poster presentation at the 17th annual meeting of the National Academy of Neuropsychology, Las Vegas, NV. Puente, A. E. (1997, September). Alexander Luria’s impact on American clinical neuropsychology. Paper presented at the meeting of the First International Luria Memorial Conference, Moscow, Russia. Puente, A. E. (1997, August). Coding and documentation. Presentation at the Coding and Documentation conference of the American Psychological Association, San Diego, CA. Puente, A. E. (1997, October). Future reimbursement for mental and substance abuse disorders. In T. L. Strickland (Chair), Is managed care in your future. Symposium conducted at the meeting of Behavior, Neurobiology, Substance Abuse, and Culture, Los Angeles, CA. Puente, A. E. (1997, October). La adaptación de las escalas Weschler para Hispanoparlantes. Presented at the 5th annual Society for Latin American Neuropsychology, Guadalajara, Mexico. Puente, A. E. (1997, August). Neuropsychology and cognitive aging: What have we taught each other? In S. Qualls (Chair), Psychology and the Aging Revolution. Symposium conducted at the meeting of the American Psychological Association, Chicago, IL. Puente, A. E. (1997, October). Nuevas perspectivas de la evaluación neuropsicológica: Hasta el siglo XXI. Presented at the 5th annual Society for Latin American Neuropsychology, Guadalajara, Mexico. Puente, A. E. (1997, November). Reimbursement for neuropsychological services. Presentation of the 17th annual meeting of the National Academy of Neuropsychology, Las Vegas, NV. Puente, A. E. (1997, September). The split-brain story and contemporary neuropsychology. Presentation at the meeting of the Royal Hospital for Neuro-disability, London, England. Puente, A. E. (1997, September). The future of neuropsychology: Implications for current and future practice. In R. Rapkin (Chair), The future of neuropsychology: What every practitioner needs to know. Symposium conducted at the meeting of the New Jersey Neuropsychological Society, Princeton, NJ. Puente, A. E. (1997, September). Understanding and prospering during the economic revolution. In R. Rapkin (Chair), The future of neuropsychology: What every practitioner needs to know. Symposium conducted at the meeting of the New Jersey Neuropsychological Society, Princeton, NJ. Puente, A. E. (1997). 30+ Follow-up of Sperry’s split-brain patients. Presentation at the meeting of the First International Luria Memorial Conference, Moscow, Russia. Puente, A. E., & Glozman, J. M. (1997). American & Lurian approaches to the assessment of middle cerebral aneurism. Presentation at the meeting of the First International Luria Memorial Conference, Moscow, Russia. Puente, A. E. & Glozman, J. M. (1997, November). Neuropsychological analysis of a middle cerebral artery infarction using Luria’s and North American psychometric approaches. Presentation at the 17th annual meeting of the National Academy of Neuropsychology, Las Vegas, Nevada. Puente, A. E., & Harris, J. (1997, August). Neuropsychological evaluation of Hispanics. 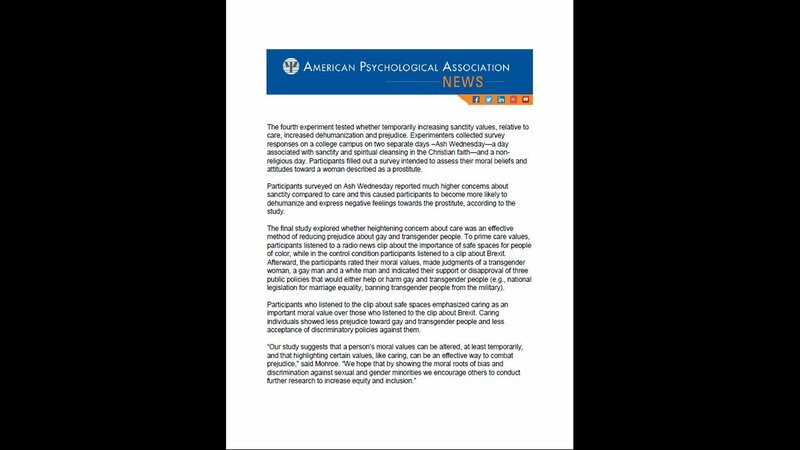 Paper presented at the 105th annual convention of the American Psychological Association, Chicago, IL. Robinson, M., Puente, A. E., Perez, M., & Godoy, J. (1997, November). Development, efficacy, and reliability of an Ecological Memory Battery. Presentation at the 17th annual meeting of the National Academy of Neuropsychology, Las Vegas, Nevada. Puente, A. E. (1998). Clinical neuropsychology: Brief history, current trends, future prospects. Presentation at the University of North Carolina at Wilmington, Wilmington, NC. Puente, A. E. (1998). Clinical neuropsychology: Evaluation. Presentation at the University of Grenada, Spain. Puente, A. E. (1998). Current procedural terminology. Presentation at the 106th annual meeting of the National Academy of Neuropsychology, Houston, TX. Puente, A. E., & Rosenstein, L. E. (1998). Exclusion or evolution in clinical neuropsychology: Old guard and new guard in NAN. Presentation at the 106th annual meeting of the National Academy of Neuropsychology Conference, Houston, TX. Puente, A. E. (1998). The psychology of tennis. Presentation at the meeting of the USTA/NCTA Area Training Center, Greensboro, NC. Andrade, V. M., Bueno, O. F. A., Picinin, L. C., Morais, P. R., Navarro, A. E., Garcia M. P., & Puente A. E. (1999, October). Aspectos cognitivos da cultura guarani. Presentation at the meeting of the Congress of the Society for Latin American Neuropsychology, Habana, Cuba*. Badanes-Prather, L., Georgoulakis, J. M., & Puente, A. E. (1999, August). Understanding federal reimbursement, Medicare, and CPT coding. Presentation at the 108th annual convention of the American Psychological Association, Washington, DC. Puente, A. E. (1999, March). Coding and documentation for professional psychological services. Presentation at the State Leadership Conference of the American Psychological Association, Washington, DC. Puente A. E. (1999, October). Métodos para la evaluación y tratamiento de trastonos cerebrales; lo bueno y lo malo de Norte América, España, y Rusia. Presentation at the meeting of the Congress of the Society for Latin American Neuropsychology, Habana, Cuba. Puente, A. E. (1999, October). Neuropsychology of the 20th and 21st century: How North America, Spain and Russia have led us astray in the development of neuropsychology. Presentation at the meeting of the Congress of the Society for Latin American Neuropsychology, Habana, Cuba. Puente A. E. (1999, August). Neuropsychological test usage. Presentation at the 107th annual convention of the American Psychological Association, Boston, MA. Puente A. E. (1999). Reimbursement for mental health services. Presentation at the 6th annual meeting of the Conference of Culture & Psychopathology. Los Angeles, CA. Puente A. E. (1999, November) Reimbursement for neuropsychological services. Presentation at the 19th annual meeting of the National Academy of Neuropsychology, San Antonio, TX. Puente, A. E. (2000, May). Aspectos transculturales en la adaptacion de pruebas neuropsicologicas, Presentation at the meeting of the Univesidad Computense de Madrid, Madrid, Spain. Puente, A. E. (2000, November). Coding, documenting, and billing and auditing neuropsychological services: A 10 year of progress report. Presentation at the 20th annual meeting of the National Academy of Neuropsychology, Orlando, FL. Puente, A. E. (2000, March). Coding, documenting, billing & auditing psychological services: A 10 year of progress report. Presentation at the North Carolina Psychological Association, Raleigh, NC. Puente, A. E. (2000, December). Coding, documenting, billing, & auditing neuropsychological services: Revision of a 10 year progress report. Presentation at the meeting of the Massachusetts Neuropsychological Society, Boston, MA. Puente, A. E. (2000, December). Does culture affect brain function? Presentation at Hahnemann University Hospital, Philadelphia, PA.
Puente, A. E. (2000, September). Does culture affect brain function? Presentation at John Umstead Hospital & Duke University, Durham, NC. Puente, A. E. (2000). Future reimbursement for mental disorders. Presentation at the annual conference of Behavioral, Clinical, Neuropsychological & Substance Abuse, Los Angeles, CA. Puente, A. E. (2000, June). Neuropsychological assessment. Presentation at the International Symposium on Biological Aspects and Drug Therapies of Mental Disorders, Habana, Cuba. Puente, A. E. (2000, April). Neuropsychological assessment of ethnic-minorities. Presentation at the North Carolina A&T University, Durham, NC. Puente, A. E. (2000, April). Psychological evaluation of Hispanic patients: What does Taco Bell know about Cristobal Colon? Presentation at the John Umstead Hospital, Butner, NC. Puente, A. E. (2000, October). Reimbursement, coding, & documentation. Workshop presented at the annual conference of Behavioral, Clinical, Neuropsychological & Substance Abuse, Los Angeles, CA. Haaland, K. (2001, August). Left hemisphere dominance for movement. In A. E. Puente (Chair). Symposium conducted at the meeting of the American Psychological Association, Orlando, FL. McEllin, S., Georgoulakis, J. M., & Puente A. E. (2001, August). Coding & Documentation for Psychological Services: Key issues for professional psychologists. In D. M. Pedulla (Chair), Understanding federal reimbursement, Medicare, and CPT coding. 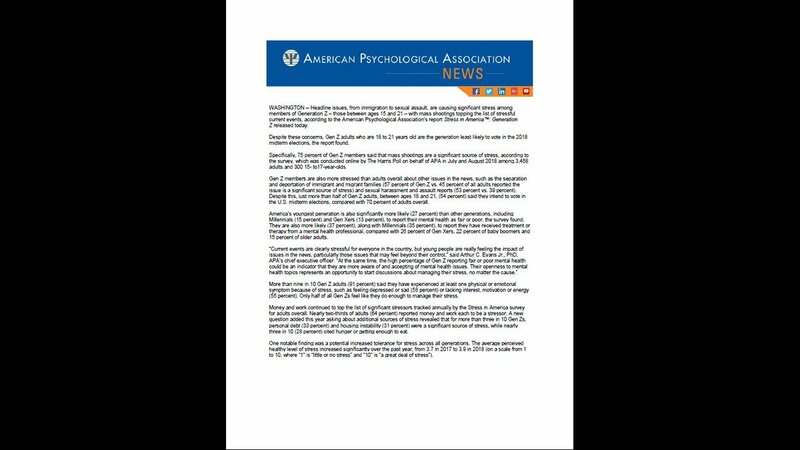 Symposium conducted at the 109th annual meeting of the American Psychological Association, Hawaii. Morente-Soto, G. A., Puente, A. E., Orozco-Gimenez, C., Peralta, M. I., Jiménez-Alonso, A., & Perez-Garcia, M. (2001, November). Neuropsychological impairment in Spanish patients with Systemic Lupus Erythematous. Presentation at the 21st annual meeting of the National Academy of Neuropsychology, San Francisco, CA. Orozco-Giménez, C., Puente, A. E., Morente-Soto, G., Pastor-Pons, E. Sanchez,-Alvarez, J. C., & Pérez-García, M. (2001, November). Impairment in the immediate recall of the RCFT and relaxation time in T2 in the right hippocampus. Presentation at the 21st annual meeting of the National Academy of Neuropsychology, San Francisco, CA. Puente, A. E. (2001, April). Culture and brain function: Answers and challenges. Keynote address conducted at the annual Mary Washington College Research Symposium, Fredericksburg, VA.
Puente, A. E. (2001). Current Procedural Terminology (CPT). Presentation at the meeting of the North Carolina Neuropsychological Association. Raleigh, NC. Puente, A. E. (2001, August). Current trends in the reimbursement for professional neuropsychological services. Presentation at the 109th annual convention of the American Psychological Association, Hawaii. Puente, A. E. (2001, November). Health and behavior assessment and intervention services. In R. M. Wah (Chair), CPT 2002 Coding. Symposium conducted at the meeting of the American Medical Association, Chicago, IL. Puente, A. E. (2001, August). Intellectual assessment of Hispanics. Presentation at the 109th annual convention of the American Psychological Association, Hawaii. Puente, A. E. (2001, October). Medicare, CPT, RVU: Update, problems and directions. Presentation at the 21st annual meeting of the National Academy of Neuropsychology, Scottsdale, AZ. Puente, A. E. (2001, August). Status of the economics and public policy of clinical neuropsychology. Presentation at the 109th annual convention of the American Psychological Association, Hawaii. Puente, A. E. (2001, August). Things that they never taught me in graduate school: How to make a living in neuropsychology. Presentation at the 109th annual meeting of the Presentation at the X annual convention of the American Psychological Association, San Francisco, CA. Puente, A. E., & Puente, K. L. (2001). A psychological journey (back) to Cuba: A father’s and daughter’s perspective. Presented at the University of Southern Mississippi, Haittiesburg, MS.
Orozco-Giménez, C., Puente, A. E., Verdejo, A., Pastor-Pons, E., Altuzarra, A., Castañeda, M., Galdón, A., Sánchez-Álvarez, J. C., & Pérez-García, M. (2002, October). Memory for verbal material after temporal lobectomy in a Spanish sample. Presentation at the 22nd annual meeting of the National Academy of Neuropsychology, Miami, FL. Puente, A. E. (2002, July). Coding, diagnosing, billing, reimbursement & documentation strategies for mental health services. Presentation at the North Carolina Chapter National Association of Social Worker’s Annual Clinical Social Work Summer Institute, Wilmington, NC. Puente, A. E. (2002, October). Coding, diagnosing, billing, reimbursement, & documentation strategies for neuropsychological services. Presentation at the 22nd annual meeting of the National Academy of Neuropsychology, Miami, FL. Puente, A. E. (2002, April). Coding, diagnosing, billing, reimbursement, and documentation strategies for psychological services. Presentation at the meeting of the North Carolina Psychological Association, Charlotte, NC. Puente, A. E. (2002, April). Current Procedural Terminology (CPT). Workshop conducted at the meeting of the North Carolina Neuropsychological Association, Charlotte, NC. Puente, A. E. (2002, December). Does culture affect brain function? Questions and answers from clinical neuropsychology. Presentation at the University of Oklahoma School of Medicine, Norman, OK.
Puente, A. E. (2002, May). 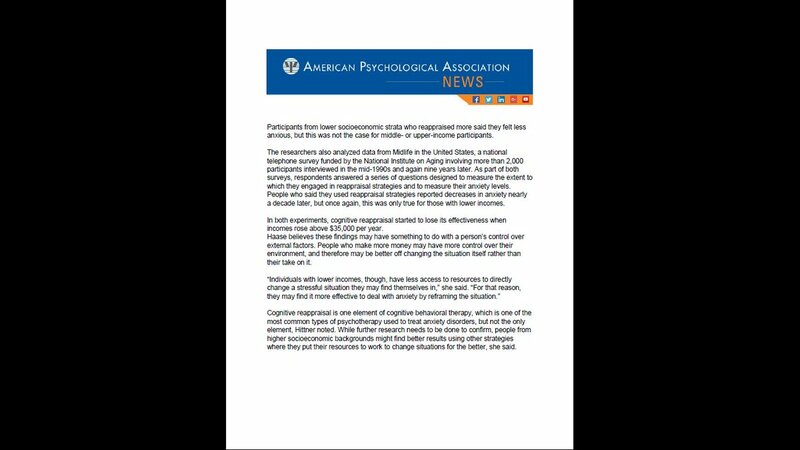 Status of psychology & clinical neuropsychology in the USA. Presentation at the Universidad de Jaen, Spain. Puente, A. E. (2002, July). Status of psychology & clinical neuropsychology in the USA. Presentation at the Universidad de la Habana, Cuba. Verdejo-García, A., Orozco-Giménez, C., López-Torrecillas, F., Puente, A. E., Sedo, M. A., & Pérez-García, M. (2002, October). Relationship between Oral Trail Making (OTM) and Trail Making Test (TMT) in a substance abusers sample. Presentation at the 22nd annual meeting of the National Academy of Neuropsychology, Miami, FL. Kanauss, K., Schatz, P., Rosenstein, L. D., & Puente, A. E. (2003, October). Effects of managed care on the practice of clinical neuropsychology. Presentation at the 23rd annual meeting of the National Academy of Neuropsychology, Dallas, TX. Puente, A. E. (2003, March). An introduction to clinical neuropsychology. Presentation at the New Hanover Regional Medical Center, Wilmington, NC. Puente, A. E. (2003, July). Coding, diagnosing, billing, reimbursement, and documentation strategies for neuropsychological services. Presentation at the Dartmouth School of Medicine, Hanover, New Hampshire. Puente, A. E. (2003, August). Coding, diagnosing, billing, reimbursement, and documentation strategies for neuropsychological services: Medicare as the benchmark. Presentation at the 111th annual convention of the American Psychological Association, Toronto, Canada. Puente, A. E. (2003, January). Mental health issues in Hispanics: A new challenge for North Carolina. Presentation at the Interdisciplinary Grand Rounds meeting of the New Hanover Regional Medical Center, Wilmington, NC. Puente, A. E. (2003, August). 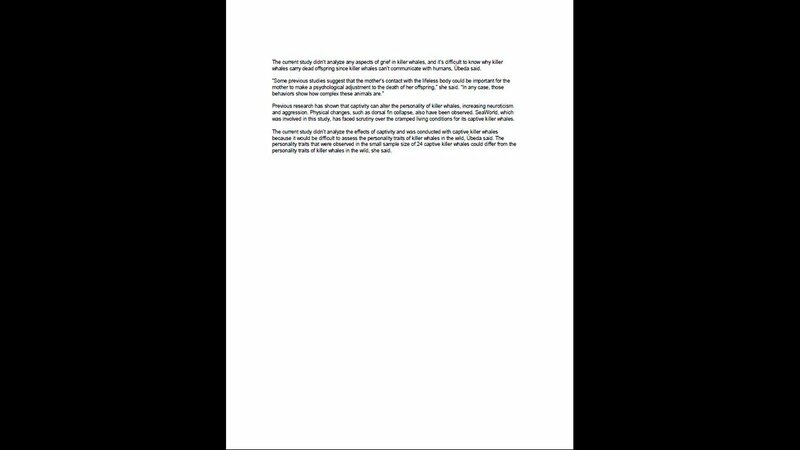 Some lessons I have learned from my twenty five years in clinical neuropsychology: A letter to my grandchildren. Presidential Address of the Division of Clinical Neuropsychology at the 111th annual convention of the American Psychological Association, Toronto, Canada. Puente, A. E. (2003, August). The new health & behavior assessment and intervention codes: A new paradigm for psychology. Presentation at the 111th annual convention of the American Psychological Association, Toronto, Canada. Puente, A. E. (2003). The psychology of tennis: Using your head more than your racquet. Presentation at the Country Club of Landfall, Wilmington, NC. Puente, K. L., Salazar, G., & Puente, A. E. (2003). Intellectual assessment of Hispanics: A literature review. Presentation at the annual meeting of the Conference on Culture and Psychopathology. Los Angeles, CA. Richardson, E. E., Morrill, E. F., Keith, J. R., & Puente, A. E. (2003, October). Long-term cognitive changes after cardiopulmonary bypass surgery: A 5 year prospective study. Presentation at the 23rd annual meeting of the National Academy of Neuropsychology, Dallas, TX. Orozco, C., Katati, M., Puente, A. E., Santiago, S., Meersmans, M., et al. (2004, November) Memory impairment in subarachnoid hemorrhage four month after surgical endovascular treatment. Presentation at the 24th annual meeting of the National Academy of Neuropsychology, Seattle, WA. Puente, A. E. (2004, November). Advanced coding, documentation, and billing workshop for neuropsychological services. Presentation at the 24th annual meeting of the National Academy of Neuropsychology, Seattle, WA. Puente, A. E. (2004). Clinical neuropsychology: A window to understanding brain and behavior relationships. Presentation at Flagler College, Augustine, FL. Puente, A. E. (2004). Clinical neuropsychology: A window to understanding brain and behavior relationships. Presentation at the meeting of the Sandhills Regional Psychology Conference, Wilmington, NC. Puente, A. E. (2004). Clinical neuropsychology: A window to understanding brain and behavior relationships. Presentation at the meeting of the State Farm Insurance Company. Puente, A. E. (2004, June). Coding, billing, and documentation for professional psychological services. Workshop conducted at the meeting of the Cape Fear Psychological Association and the North Carolina Psychological Association, Raleigh, NC. Puente, A. E. (2004, March). Coding, billing, and documenting professional psychological services. In R. A. Nixon (Chair), Coding, Billing, and Documentation Conference and Workshop. Symposium conducted at the meeting of the Alzheimer’s Association, New York, NY. Puente, A. E. (2004, October). Health and behavior assessment & intervention: A new paradigm for professional psychology. Presentation at the meeting of the Virginia Psychological Association, Richmond, VA.
Puente, A. E. (2004, November). Hispanics in a biopsychosocial context. Presentation to the Hispanic Neuropsychological Society at the 24th annual meeting of the National Academy of Neuropsychology, Seattle, WA. Puente, A. E. (2004, August). Lo cultural en cross-cultural neuropsychology. Presentation at the Univerdad de los Andes, Bogotá, Colombia. Puente, A. E. (2004, June). Maintaining and expanding reimbursement opportunities in mental health: Medicare as a benchmark. Presentation at the meeting of the Cape Fear Psychological Association, Wilmington, NC. Puente, A. E. (2004, March). Maintaining and expanding reimbursement opportunities in mental health: Medicare as a benchmark. Presentation at the meeting of the New York Psychological Association, New York, NY. Puente, A. E. (2004, May). Maintaining and expanding reimbursement opportunities in mental health: Medicare as a benchmark. Presentation at the North Carolina Division of Public Health meeting of the Women & Children’s Health Network, Chapel Hill, N.C.
Puente, A. E. (2004, July). Mental health issues in Hispanics: A new and pressing challenge for North Carolina & the Cape Fear Region. Presentation at the meeting of the New Hanover Health Department, Wilmington, NC. Puente, A. E. (2004, November). Mental health issues in Hispanics: A review and analysis of ongoing concern for southeastern North Carolina. Presentation at the November Educational Forum of the meeting of HOLA at the University of North Carolina Wilmington, Wilmington, NC. Puente, A. E. (2004, May). Overview of psychological services for children and adolescents 0-21. Presentation in Chapel Hill, NC. Puente, A. E. (2004, November). Políticas de formación psicológica: Una visión desde la Asociación Americana de Psicología. Presentation at the Universidad de Los Andes, Bogotá, Colombia. Puente, A. E. (2004, November). Psychological and neuropsychological testing. Presentation at the meeting of the American Medical Association’s Health Care Professional Advisory Committee (HCPAC), Miami, FL. Puente, A. E. (2004, October). Psychology and neuropsychological testing. Presentation at the meeting of the American Medical Association’s Relative Value Unit, Chicago, IL. Puente, A. E. (2004). Public policy and federal guidelines and the practice of psychology. Presentation at the meeting of the New York Psychological Association, New York, New York. Puente, A. E. (2004, November). Recent federal & state policies affecting the use of psychometricians in clinical neuropsychological assessment. Presentation at the meeting of the National Academies of Practice, Seattle, Washington. Puente, A. E. (2004). Introduction to psychological and neuropsychological testing. Presentation at the meeting of the American Medical Association’s Health Care Professional Advisory Committee (HCPAC), Chicago, IL. Puente, A. E. (2004, November). Reimbursement for neuropsychological services: Major changes in third party interfaces for 2004-2005. Presentation at the 24th annual meeting of the National Academy of Neuropsychology, Seattle, WA. Puente, A. E. (2004). The cultural in cross cultural clinical neuropsychology. Presentation at the meeting of the New York Academy of Sciences, Neuropsychology Section, New York, NY. Puente, A. E., & Georgoulakis, J. (2004, August). Economic & public policy issues in clinical neuropsychology. Presentation at the 112th annual convention of the American Psychological Association, Honolulu, HI. Puente, A. E. (2005, November). A paradigm shift for clinical neuropsychological assessment: Evolution, rationale, and expected impact of the New Testing Codes. Presentation at the 25th annual meeting of the National Academy of Neuropsychology, Tampa, FL. Puente, A. E. (2005, March). Changing demographics of North Carolina and the effect of Hispanic migration on our community. In (Chair), Cape Fear Psychological Association’s Spring 2005 Lecture Series. Symposium conducted at the meeting of the Cape Fear Psychological Association, Wilmington, NC. Puente, A. E. (2005). Clinical neuropsychology in North America: What the first twenty five years might tell us about the future of the specialty and its implications for the development of neuropsychology in Spain. Presentation at the meeting of the Congreso de Asociaciones de Neuropsicologia Espanolas. Granada, Spain. Puente, A. E. (2005, September). Mental health issues in Hispanics: A new concern for our region. Presentation at the meeting of the CSM Leadership Development Conference, Wilmington, NC. Puente, A .E. (2005, September). Mental health issues in Hispanics. Presentation at the meeting of the Hispanic Leadership Workshop at the University of North Carolina Wilmington, Wilmington, NC. Puente, A. E. (2005, August). Recent changes in coding and related issues. Presentation at the State Leadership Conference of the American Psychological Association, Washington, DC. Puente, A. E. (2005, August). The new psychological and neuropsychological testing codes. Paper presentation at the 113th annual convention of the American Psychological Association convention, Washington, DC. Puente, A. E.,& Salazar, G. (2005, March). Mental health issues in Hispanics: A new concern for our region. Presentation at the meeting of the Cape Fear Psychological Association as part of the Spring 2005 Lecture Series, Wilmington, NC. Vilar-López, R., Puente, A. E., Pérez-García, M., Rodríguez-Fernández, A., Ramos-Font, C., García-Rivas, J., Castañeda, M., & Gómez-Río, M. (2005, February). The influence of attentional problems in a malingering test. Presentation at the 26th annual meeting of the International Neuropsychological Society Conference, St. Louis, MO. Verdejo-Garcia, A., Puente, A. E., Puente, K. L., Coin, M. A., Rivas-Perez, C., & Perez-Garcia, M. (2005, November). Detrimental effects of ecstasy use severity on facial emotional expression recognition. Presentation at the 25th annual meeting of the National Academy of Neuropsychology, Tampa, FL. Meersmans, M., Sánchez-Jofre, M., Puente A. E., Escamilla-Sevilla, F., López-Jiménez, M. A., Santiago-Ramajo, S., Katati, M., Pérez-García, M., Martin-Linares, J. M., Mingués-Castellanos, A., & Arjona V. (2006, October). Memory functions in patients with advanced Parkinson disease. Presentation at the 26th annual meeting of the National Academy of Neuropsychology, San Antonio, TX. Meersmans, M., Sánchez-Jofre, M., Puente, A. E., Escamilla-Sevilla, F., López-Jiménez, M. A., Katati, M., Santiago-Ramajo, S., Pérez-García, M., Martin-Linares J. M., Minués-Castellanos A., & Arjona, V. (2006, October). A case of early-onset idiopathic Parkinson disease (PD). Presentation at the 26th annual meeting of the National Academy of Neuropsychology, San Antonio, TX. Puente, A. E. (2006, May). Coding, billing and documenting neuropsychological services: With special emphasis on the 2006 testing codes. Presentation at the meeting of the Midwest Neuropsychology Group, Chicago, IL. Puente, A. E. (2006, March). Coding, billing and documenting professional psychological services: With special emphasis on the 2006 testing codes. Presentation at the meeting of the National Rehabilitation Hospital, Washington, DC. Puente, A. E. (2006, February). Coding, billing, and documenting professional psychological services: With special emphasis on the 2006 testing codes. Presentation at the meeting of the Division of Professional Practice of the North Carolina Psychological Association, Chapel Hill, NC. Puente, A. E. (2006, February). Interfacing science, politics, and economics: How Medicare and the AMA affect the practice of psychology. Presentation at the University of Georgia, Athens, GA.
Puente, A. E. (2006, April). Making a living in professional psychology: Coding, billing, and documenting psychological services. Presentation at the Florida Institute of Technology, Melbourne, FL. Puente, A. E. (2006, October). Neuropsicologia clinica: Fundamentacion y trajectoria en el conjunto de la psicologia. Presentation at the meeting of the Congreso Internacional: Avances en Neuropsicologia clinica, Madrid, Spain. Puente, A. E. (2006, March). The psychology of tennis: Using your head more than your racquet. Presentation at Flagler College, St. Augustine, FL. Puente, A. E. (2006, April). What does the culture in cultural neuropsychology tell us about psychology? Presentation at the Florida Institute of Technology, Melbourne, FL. Puente, A. E., & Geourgoulakis, J. (2006, August). The new neuropsychological interviewing and testing CPT codes. Presentation at the 114th annual meeting of the American Psychological Association, New Orleans, LA. Santiago-Ramajo, S., Katati, M. J., Verdejo-Garcia, A., Perez-Garcia, M., Puente, A. E., Meersmans, M., & Arjona-Moron, V. (2006, October). Neuropsychological performance based on intensity of subarachnoid hemorrhage. Presentation at the 26th annual meeting of the National Academy of Neuropsychology, San Antonio, TX. Vilar-López, R., Puente, A. E., Bellón-Guardia, M., Gómez-Río, M., Horcajadas, A., Llamas-Elvira, J. M., & Pérez-García, M. (2006, October). The utility of a memory test as a malingering test in a Spanish population. Presentation at the 26th annual meeting of the National Academy of Neuropsychology, San Antonio, TX. Puente, A. E. (2007, November). Coding, documenting, & billing clinical neuropsychological services. Paper presentation at the 17th annual meeting of the National Academy of Neuropsychology, Scottsdale, AZ. Puente, A. E. (2007, March). Hispanics in North Carolina: How are you contributing to changing North Carolina demographics and the future of North Carolina? Presentation at the meeting of the Centro Hispano of Pender County, Wilmington, NC. Puente, A. E. (2007) Neuropsychological assessment and its importance on the diagnosis and treatment of neurological and psychiatric disorders. Presentation at the University of Puerto Rico, San Juan, Puerto Rico. Puente, A. E. (2007, August). Neuropsychology interview and testing codes: Rationale, evolution, complications, and current status. Presentation at the 115th annual meeting of the American Psychological Association, San Francisco, CA. Puente, A. E. (2007). The concept of culture in clinical neuropsychology. Presentation at the meeting of the Penn State College of Medicine. Hershey, PA.
Puente, A. E. (2007, November). Update on the CPT codes: Impact on the practice, science, and training in neuropsychology. Presentation at the 17th annual meeting of the National Academy of Neuropsychology, Scottsdale, AZ. San Miguel-Montes, L., Margarida-Julia, M. T., Diaz, M., Senior, E., Perez, D., & Puente, A. E. (2007). Verbal memory and executive functions of Puerto Ricans with Parkinson’s, traumatic brain injury, epilepsy, mild cognitive impairment, dementia, and cerebrovascular disease. Presentation at the Joint Mid-Year meeting of The International Neuropsychological Society, the Federation of Spanish Societies of Neuropsychology, the Spanish Neuropsychological Society, and the Spanish Psychiatry Society, Bilbao, Spain. Vilar-López, R. Gómez-Río, M., Puente, A., Bellon-Guardia, M., Rodriguez Fernandez, A., & Pérez-Garcia, M. (2007, November). The utility of the D2 test of attention as a malingering indicator. Presentation at the 17th annual meeting of the National Academy of Neuropsychology, Scottsdale, AZ. Buré-Reyes, A., Puente, A. E., Gontier, J., Vilar-López, R., Sánchez, L., Hidalgo, N., & Pérez, M. (2008, October). Neuropsychological test performance of four different Spanish speaking groups. Presentation at the 18th annual meeting of the National Academy of Neuropsychology, New York, NY. Cummings, T., Puente, A. N., & Puente, A. E. (2008, August). Relationship of anxiety to neuropsychological performance in CABG. Poster session presented at the 116th annual meeting of the American Psychological Association, Boston, MA. Gontier, J. J., Puente, A. E., Labrana, J. L., & Neira, R. E. (2008, February). The relationship between age and performance in Trail Making Test in Chilean population. Presentation at the 36th annual meeting of the International Neuropsychology Society, Waikoloa, HI. Puente, A. E. (2008). 25 Years of public policy: From NCPA to APA, Medicare and CMS and everything in between. Presentation at the meeting of the North Carolina Psychological Association, Chapel Hill, NC. Puente, A. E. (2008, August). Coding, documenting & billing mental health & related services. Presentation at the 116th annual meeting of the American Psychological Association, Boston, MA. Puente, A. E. (2008, November). Coding, documenting, and billing for mental health and related services. Presentation at the meeting of the Rainier Associates, Tacoma, WA. Puente, A. E. (2008, October). Coding, documenting & billing neuropsychological services: Advanced workshop. Presentation at the 18th annual meeting of the National Academy of Neuropsychology, New York, NY. Puente, A. E. (2008, October). Coding, documenting & billing neuropsychological services: Introductory workshop. Presentation at the 18th annual meeting of the National Academy of Neuropsychology, New York, NY. Puente, A. E. (2008, October). Coding, documenting & billing neuropsychological services: Summary presentation. Presentation at the 18th annual meeting of the National Academy of Neuropsychology, New York, NY. Puente, A. E. (2008, October). Emerging problems with the Medicare program and Current Procedural Terminology (CPT): An advanced workshop focusing on technical and complex issues with Medicare and CPT. Presentation at the 28th annual meeting of the National Academy Neuropsychology, New York, NY. Puente, A. E. (2008, July). Forensic clinical neuropsychology: Death penalty cases as a paradigm for neuropsychological assessment. Presentation at the meeting of the Northeast Florida State Hospital, Macclenny, FL. Puente, A. E. (2008, September). Forensic clinical neuropsychology with Hispanics: Death penalty cases as a paradigm for neuropsychological assessment. Presentation at the 1st annual meeting of the Southeastern North Carolina Hispanic Affairs, Winston-Salem, NC. Puente, A. E. (2008, February). Hispanic neuropsychology. Presentation at the 36th annual meeting of the International Neuropsychology Society, Waikoloa, HI. Puente, A. E. (2008, October). Medicare, Current Procedural Terminology (CPT), and our future: Do we have one? Presentation at the 28th annual meeting of the National Academy Neuropsychology, New York, NY. Puente, A. E. (2008). Neuropsychological approaches to Multiple Sclerosis. Presentation at the meeting of the University of Puerto Rico School of Medicine, San Juan, Puerto Rico. Puente, A. E. (2008, September). The browning of North Carolina: Implications for the legal community from a psychological perspective. Presentation at the 1st annual meeting of the Southeastern North Carolina Hispanic Affairs, Winston-Salem, NC. Puente, A. E. (2008, April). What the first twenty-five years in mainland US might tell us about the future of clinical neuropsychology and its implication for the development of specialty in Puerto Rico. Presentation at the meeting of the Puerto Rican Neuropsychological Association, San Juan, Puerto Rico. Puente, A. E. (2008, October). What your professors and training programs did not tell you about billing, coding, and documentation: An introductory program for students and recent graduates. Presentation at the 18th annual meeting of the National Academy of Neuropsychology, New York, NY. Puente, A. E., & Askew, J. (2008, November). The Tileston Mental Health Clinic. Paper presentation at the Conference on Health and Related Sciences, Wilmington, NC. Puente, A. E., Puente, A. N., Gontier, J. J., & Buré-Reyes, A. (2008, February). Handedness and the Stroop effect. Presentation at the 36th annual meeting of the International Neuropsychology Society, Waikoloa, HI. Puente, A. E., Vilar-López, R., & Askew, J. (2008). Changing demographics and the implications for mental health. Paper presentation at the Conference on Health and Related Sciences, Wilmington, NC. Puente, A. E., Vilar-López, R., & Jackson, L. A. (2008, March). A history of the department of psychology at University of North Carolina Wilmington. Presentation at the meeting of the Southeastern Psychological Association, Charlotte, NC. Vilar-López, R., Gómez-Río, M., Rodriguez-Fernandez, A., Perez-Garcia, M., & Puente, A. E. (2008, February). Congruence between reported symptoms and neuropsychological results in malingering detection. Presentation at the 36th annual meeting of the International Neuropsychology Society, Waikoloa, HI. Vilar-López, R., Perez, M., & Puente, A. E. (2008, August). Psychophysiological correlates during the execution of a forced-choice task. Presentation at the 116th annual meeting of the American Psychological Association, Boston, MA. Vilar-López, R., Puente, A. E., Gomez-Rio, M., Rodríguez-Fernandez, A., & Perez-Garcia, M. (2008, July). Is the Stroop Test sensitive to malingering? Presentation at the 36th annual meeting of the International Neuropsychological Society, Buenos Aires, Argentina. Vilar-López, R., & Puente, A. E. (2008, August). Clinical problems in the neuropsychological assessment of Spanish-speakers. Presentation at the 116th annual meeting of the American Psychological Association, Boston, MA. Gontier, J., Labrana, J., Rioseco, F., Puente, A. E., Puente, A. N., & Buré-Reyes, A. (2009, October). Neuropsychological functioning in severe and chronic Spanish-speaking psychiatric patients. Poster session presented at the 29th annual meeting of the National Academy of Neuropsychology, New Orleans, LA. Judd, T., Navarrete, M. G., Puente, A. E., & San Miguel-Montes, L. (2009, November). Legal, ethical, and empirical guidance in providing competent neuropsychological services to Hispanics. Presentation at the 29th annual meeting of the National Academy of Neuropsychology, New Orleans, LA. Lazarus, G. T., & Puente, A. E. (2009, November). The evolution of neuropsychological test usage in different geographical locations and the role of the neuropsychologist. Presentation at the 29th annual meeting of the National Academy of Neuropsychology, New Orleans, LA. Malck-Ahmadi, M., Erickson, T., Puente, A. E., Rosen, G., (2009, November). Credentialing for psychometrists. Presentation at the 29th annual meeting of the National Academy of Neuropsychology, New Orleans, LA. Pimental, P. A., Puente, A. E., Morgan, J., Austin, B., & Richards, P. (2009). Advanced reimbursement workshop: Professional Affairs and Information Committee (PAIC) Practice Information Exchange (PIE) practice enhancement techniques. Presentation at the 29th annual meeting of the National Academy of Neuropsychology, New Orleans, LA. Puente, A. E. (2009, April). A brief history of the Department of Psychology at the University of North Carolina Wilmington (UNCW). Presentation at the Psi Chi Induction meeting at the University of North Carolina Wilmington, Wilmington, NC. Puente, A. E. (2009). A “psychological” perspective to addressing diabetic care. Presentation at the meeting of the National Academies of Practice, Washington, DC. Puente, A. E. (2009, November). Billing neuropsychological services. Presentation at the 29th annual meeting of the National Academy of Neuropsychology, New Orleans, LA. Puente, A. E. (2009, November). Coding, documenting, & billing neuropsychological services. Presentation at the 29th annual meeting of the National Academy of Neuropsychology, New Orleans, LA. Puente, A. E. (2009, May). Coding, documenting, & billing psychological, neuropsychological, and health psychological services. Presentation at the meeting of the Aging and Adult Development Division of the New York State Psychological Association, New York, NY. Puente, A. E. (2009, November). CPT coding: Documentation and billing errors likely to trigger insurance audits and how to avoid them. Presentation at the 29th annual meeting of the National Academy of Neuropsychology, New Orleans, LA. Puent, A. E. (2009, November). CPT update. Presentation at the 29th annual meeting of the National Academy of Neuropsychology, New Orleans, LA. Puente, A. E. (2009, October). Current issues in health care legislation: From co-pays to Congress. Presentation at the Roosevelt Society Meeting at the University of Georgia, Athens, GA.
Puente, A. E. (2009). Economic health policy and testing practice. Presentation at the meeting of the Association of Test Publishers. Toronto, Canada. Puente, A. E. (2009, November). Neuropsychological tests in Spanish. Presentation at the 29th annual meeting of the National Academy of Neuropsychology, New Orleans, LA. Puente, A. E. (2009, August). Review of AERA/APA/NCME test standards revision. Presentation at the 117th annual meeting of the American Psychological Association, Toronto, Canada. Puente, A. E. (2009, November). Technical neuropsychological services. Presentation at the 29th annual meeting of the National Academy of Neuropsychology, New Orleans, LA. Puente, A. E. (2009, August). Technological concerns in the revision of the Guidelines for Educational and Psychological Tests. In W. Camara (Chair), Review of AERA/APA/NCME test standards revision. Symposium conducted at the 117th annual meeting of the American Psychological Association, Toronto, Canada. Puente, A. E. (2009, November). The browning of North Carolina: Implications for our community from a psychological perspective. Presentation at the 1st annual Conference of the Southeastern North Carolina Hispanic Affairs, Wilmington, NC. Puente, A. E. (2009, October). Whatever happened to me? A neuropsychological perspective of traumatic brain injury. Presentation at the meeting of the Brain Injury Association of North Carolina, Chapel Hill, NC. Puente, A. E., & Ojeda, C. (2009, November). Neuropsychological testing of Spanish-speakers: The challenge of accurately assessing individuals from linguistically and culturally diverse backgrounds. Poster session presented at the 29th annual meeting of the National Academy of Neuropsychology, New Orleans, LA. Vilar-López, R., Puente, A. N., Hidalgo-Ruzante, N., Buré-Reyes, A., Ojeda, C., & Puente, A. E. (2009, November). Dementia or malingering? An example of the difficulties in minorities assessment. Poster session presented at the 29th annual meeting of the National Academy of Neuropsychology, New Orleans, LA. Agranovich, A. V., Panter, A. T., & Puente, A. E. (2010, February). The culture of time in neuropsychological assessment: Effect of culture-specific time attitudes on timed test scores in Russian and American adults. Poster session presentation at the 38th annual meeting of the International Neuropsychological Society, Acapulco, Mexico. Hutton, J. T., Vidal, O. J., Lindsey, H. M., Zink, D., Cummings, T., Puente, A. N., & Puente, A. E. (2010, October). Preliminary analysis of anxiety as an indicator of cognitive decline following coronary artery bypass surgery. Poster session presentation at the 30th annual meeting of the National Academy of Neuropsychology, Vancouver, Canada. Lechuga, D., Puente, A. E., & Judd, T. (2010). Forensic neuropsychological assessment of Hispanics in the US: Contemporary issues. Presentation at the 1st annual conference of the Hispanic Neuropsychological Society. Acapulco, Mexico. Ojeda, C. A., Lazarus, G., & Puente, A. E. (2010, February). Neuropsychological testing Spanish speakers: The challenge of assessing linguistically and culturally diverse individuals. Poster session presentation at the 38th annual meeting of the International Neuropsychological Society, Acapulco, Mexico. Puente, A. E. (2010, October). Coding, billing and documenting for neuropsychological services: Review of recent critical developments. Paper presentation at the 30th annual meeting of the National Academy of Neuropsychology, Vancouver, Canada. Puente, A. E. (2010). Coding, billing and documenting for neuropsychological services. Presentation at the University of California Los Angeles, CA. Puente, A. E. (2010, August). Coding, documenting & billing psychological and neuropsychological services. 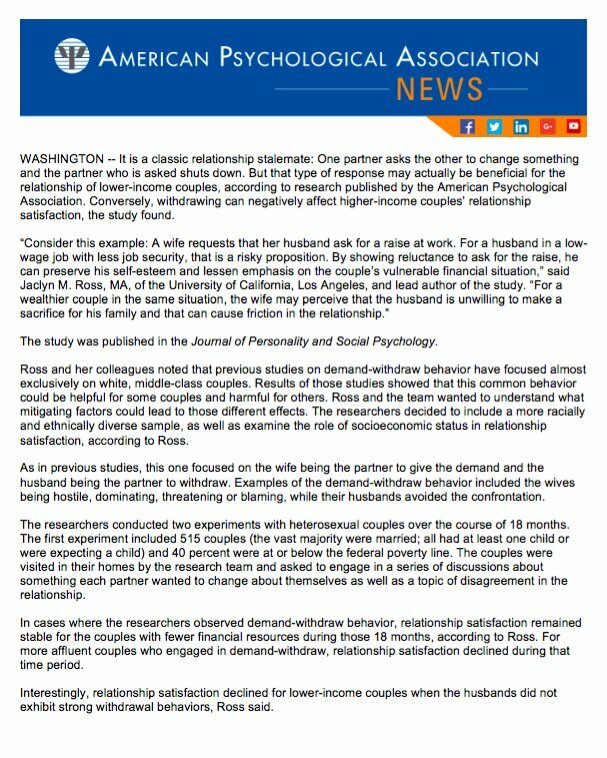 Paper presentation at the 118th annual convention of the American Psychological Association, San Diego, CA. Puente, A. E. (2010, April). Coding, documenting & billing psychological and neuropsychological services. Presentation at the University of Georgia, Athens, GA.
Puente, A. E. (2010). Coding, documenting, and billing psychological services. Presentation at the University of North Carolina Wilmington. Wilmington, NC. Puente, A. E. (2010, October). CPT: The latest information involving coding, billing, and documenting neuropsychological services. Paper presentation at the 30th annual meeting of the National Academy of Neuropsychology, Vancouver, Canada. Puente, A. E. (2010, October). E-Journal proposal. Paper presentation at the meeting of the National Academy of Practice, Washington, DC. Puente, A. E. (2010, October). Fraud, abuse, and auditing neuropsychological services. Paper presentation at the 30th annual meeting of the National Academy of Neuropsychology, Vancouver, Canada. Puente, A. E. (2010, October). Health Care legislation: Summary and implications for neuropsychological science and practice. Paper presentation at the 30th annual meeting of the National Academy of Neuropsychology, Vancouver, Canada. Puente, A. E. (2010, April). Hispanic injured worker: Providing ethical services while respecting cultural differences. Presentation at the Spring Training meeting of Southern Rehabilitation Network Inc., Carolina Beach, NC. Puente, A. E. (2010, October). Implications for the current health care bill on the practice and science or clinical neuropsychology. Paper presentation at the 30th annual meeting of the National Academy of Neuropsychology, Vancouver, Canada. Puente, A. E. (2010, August). Integrating fairness concerns for diverse examinee populations II: Administration and reporting. Paper presentation at the 118th annual convention of the American Psychological Association, San Diego, CA. Puente, A. E. (2010, August). Intellectual assessment of Spanish speakers: A complicated twist in Atkins cases. Presentation at the 118th annual convention of the American Psychological Association, San Diego, CA. Puente, A. E. (2010, August). Intellectual assessments of Spanish speakers in death penalty cases: The challenges of media engagement. Presentation at the 118th annual convention of the American Psychological Association, San Diego, CA. Puente, A. E. (2010, August). Latest information regarding testing codes: Implications for a developing a model for neuropsychological services. Paper presentation at the 118th annual convention of the American Psychological Association, San Diego, CA. Puente, A. E. (2010, September). Multiple sclerosis: A neuropsychological perspective. Presentation at the meeting of the Eastern North Carolina Chapter of National Multiple Sclerosis Society, Wilmington, NC. Puente, A. E. (2010, January). Neuropsychological assessment of Spanish Speakers; What I know and what I don’t know after 25 years of research. Presentation at the University of California Los Angeles, Los Angeles, CA. Puente, A. E. (2010). Psychological and neuropsychological testing. Presentation at the Advisory Committee annual meeting of the American Medical Association CPT/HCPAC, Los Angeles, CA. Puente, A. E. (2010, October). Recent developments in insurance and third party regulations. Paper presentation at the 30th annual meeting of the National Academy of Neuropsychology, Vancouver, Canada. Puente, A. E. (2010, February). State of the art of neuropsychological tests in Spanish. Presentation at the 1st annual Conference of the Hispanic Neuropsychological Society, Acapulco, Mexico. Puente, A. E. (2010, April). State of the art of neuropsychological tests in Spanish. Presentation at the University of Georgia, Athens, GA.
Puente, A. E. (2010, September). Status and future of psychological and neuropsychological services: A policy and economic perspective. Presentation at the meeting of the Johns Hopkins School of Medicine, Baltimore, MD. Puente, A. E. (2010, May). The link between mental retardation diagnosis and adaptive functioning. Presentation at the meeting of the Mental Retardation and Adaptive Functioning North Carolina Advocates for Justice, Raleigh, NC. Puente, A. E. (2010, October). Update on the revision of the standards of educational and psychological tests. Presentation at the 30th annual meeting of the National Academy of Neuropsychology, Vancouver, Canada. Puente, A. E., Askew, J., & Hutton, J. T. (2010). A novel collaborative pharmacy practice model for the treatment of mental illness in the indigent and uninsured. Paper presentation at the meeting of the National Academies of Practice Forum, Arlington, VA.
Puente, A. E., & Georgoulakis, J. M. (2010). How to document your records for audits. Presentation at the meeting of the North Carolina Psychological Association – Division of Independent Professional Practice, Raleigh, NC. Puente, A. E., & Ojeda, C. (2010, October). Neuropsychological testing of Spanish speakers: What tests are available, which ones are used, and do they meet testing standards criteria. Poster session presentation at the 30th annual meeting of the National Academy of Neuropsychology, Vancouver, Canada. Puente, A. E., Richards, P. M., Austin, B., & Spencer, T., R. (2010, October). Recent development on policy issues and their effect on the practice of neuropsychology: Updates from the professional affairs and information committee. Paper presentation at the 30th annual meeting of the National Academy of Neuropsychology, Vancouver, Canada. Salazar, G. & Puente, A. E. (2010, March). Whatever happened to me? : A neuropsychological perspective of traumatic brain injury. Presentation at the meeting of the IARP Carolinas Spring Seminar, Carolina Beach, NC. Burton, V., Puente A. E., & Vilar-López, R. (2011, August). Tests of effort in normative, clinical, and forensic populations of Spanish speaking individuals residing in the United States. Poster session presented at the 119th annual convention of the American Psychological Association, Washington, DC. Hernandez, M., & Puente, A. E. (2011, February). Are different Spanish versions of the WAIS “equivalent”? Poster session presented at the 39th annual meeting of the International Neuropsychological Society, Boston, MA. Puente, A. E. (2011, May). Adaptive behavior: Understanding the world of part B of listings using capital murder cases as a paradigm. Presented at NOSSCR Annual Conference. Baltimore, MD. Hernandez, M., & Puente, A. E. (2011, August). Are different Spanish versions of the WAIS “equivalent”? Poster session presented at the 119th annual meeting of the American Psychological Association, Washington, DC. Lindsey, H. M., Zink, D. N., Puente, A. E., (2011, February). Cortisol levels, self-reported anxiety and neuropsychological test performance in coronary artery bypass patients. Poster session presented at the 39th annual meeting of the International Neuropsychological Society, Boston, MA. Pliskin, N., & Puente, A. E. (2011, August). Understanding insurance regulations in an age of accountability-correct CPT coding, audit triggers, and strategies for compliance. Paper presentation at the 119th annual convention of the American Psychological Association, Washington, DC. Puente, A. E., (2011). Adaptacion del WISC en Espanol. Presentation at the Conferencia Internacional de Neuropsicologia Infantil, Granada, Spain. Puente, A. E. (2011, November). Auditing: Testing and documentation standards and the audit experience. Presentation at the 31st annual meeting of the National Academy of Neuropsychology, Marco Island, FL. Puente, A. E. (2011, August). Common mistakes & problems in coding, documenting, & billing neuropsychological testing. Presentation at the 119th annual convention of the American Psychological Association, Washington, DC. Puente, A. E. (2011). Desafíos y resultados con pruebas psicológicas: Wechsler Intelligence Scale for Children (WISC) – IV y versiones de la Escala de Inteligencia Wechsler – III (Challenges and results with psychological tests: WISC-IV and the different versions of the WAIS-III). Presentation at the Forensic Neuropsychology Conference at the University of Granada, Granada, Spain. Puente, A. E. (2011, November). Diversity grand rounds. Chair of the panel discussion at the 31st annual meeting of the National Academy of Neuropsychology, Marco Island, FL. Puente, A. E. (2011, August). Independent practice: Psychology as a health care profession. 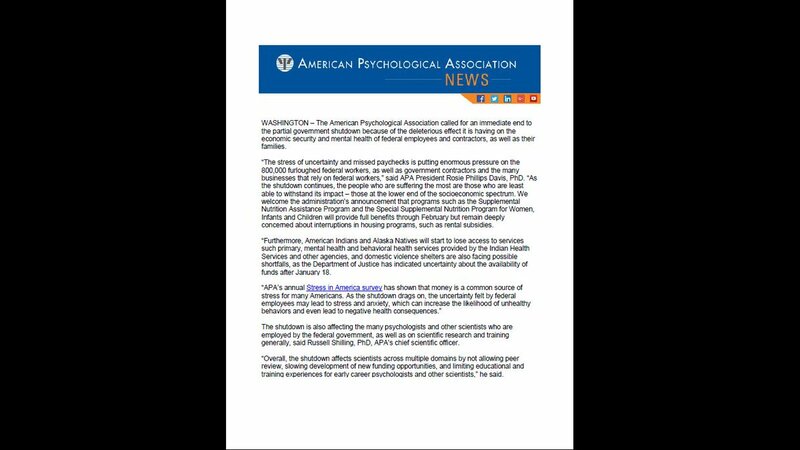 Invited address for the 2011 APA Award for Distinguished Professional Contributions meeting at the 119th annual convention of the American Psychological Association, Washington, DC. Puente, A. E. (2011, May). Measuring adaptive behavior. Presentation at the 64th Spring National Conference on Social Security Disability Law meeting of the National Organization of Social Security Claimants’ Representatives, Baltimore, MD. Puente, A. E. (2011). Neuropsicologia forense con clientes de Hispanoparlantes: Guia y ejemplos (Forensic neuropsychology with Hispanic clients: Guidelines and case studies). Presentation at the meeting of the Forensic Neuropsychology Conference at the Universidad de Granada, Spain. Puente, A. E. (2011, August). Practical perspectives from across the field: Testing Spanish speaking individuals: Challenges, practices, and ethical concerns. In S. J. Scholz (Chair), Ethical challenges in psychological assessment. 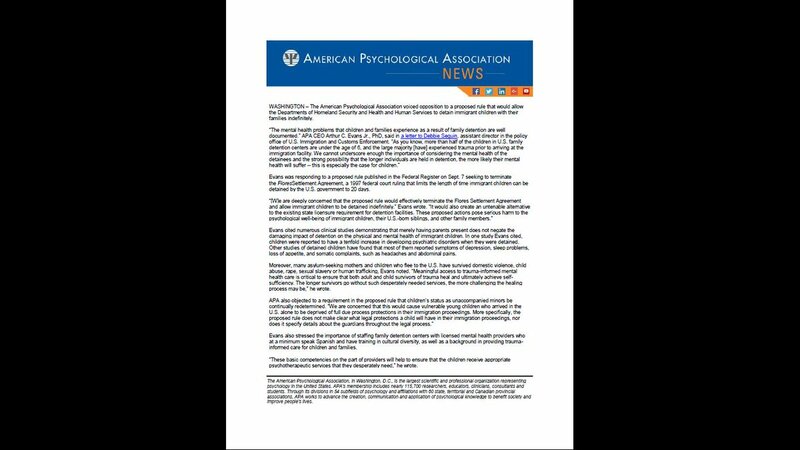 Symposium conducted at the 119th annual convention of the American Psychological Association, Washington, DC. Puente, A. E. (2011, August). Psychology as a health care profession. Presentation at the 119th annual convention of the American Psychological Association, Washington, DC. Puente, A. E. (2011, August). Revising the standards for educational and psychological testing: Comments on the application chapters. In W. Camara (Chair), Revising of the standards for educational and psychological testing: Summary of comments on the initial draft. Symposium conducted at the 119th annual convention of the American Psychological Association, Washington, DC. Puente, A. E. (2011). The latest public policies and insurance regulations affecting the professional practice of neuropsychology with specific emphasis on CPT (It’s the end of the world as we know it). Paper presentation at the 31st annual meeting of the National Academy of Neuropsychology, Marco Island, FL. Puente, A. E., & Ojeda, C. (2011, August). Testing Spanish-speaking individuals: Challenges, practices, and ethical concerns. Paper presentation at the 119th annual convention of the American Psychological Association, Washington, DC. Zink, D. N., Hernandez, M. I., Lindsey, H. M., Burton, V., Jackman, T., Buxton, J., Altendorf, A., & Puente, A. E. (2011, March). A multidisciplinary mental health model for Spanish speakers in Southeastern North Carolina. Paper presented at the 58th annual meeting of the Southeastern Council of Latin American Studies, Wilmington, NC. Zink, D. N., Hernandez, M. I., Lindsey, H. M., Burton, V., Jackman, T., Puente, A. E., Buxton, J., & Altendorf, A. (2011, March). A novel collaborative mental health practice model for the treatment of mental illness of the Spanish speaking indigent and uninsured. Paper presented at the 58th annual meeting of the Southeastern Council of Latin American Studies, Wilmington, NC. Zink, D. N., & Puente, A. E. (2011, November). The development of a neuropsychological test battery for the evaluation of Spanish speakers. Poster session presentation at the 31st annual meeting of the National Academy of Neuropsychology, Marco Island, FL. Behnke, S. H., Childress-Beatty, L., Fouad, N. A., Bow, J. N., Sturm, C. A., Thomas, J. T., Preis, J. J., Anton, B. S., Leach, M. M., Puente, A. E., Cerbone, A. R., Ellsworth, P. C., & Elman, N. S. (2012). Ethics Committee presents: Hot topics in ethics. Symposium conducted at the 120th annual convention of the American Psychological Association, Orlando, FL. Fasfous, A. F, Perez Garcia, M., & Puente, A. E. (2012, March). Gender differences in children’s Color Trails Test performance among Arab children: A cross-cultural study. Poster session presented at the Spring Conference meeting of the North Carolina Psychological Association, Charlotte, NC. Puente, A. E. (2012). Dementia: Understanding and impact on ethical decision making. Presentation at the Ethics Committee meeting of the American Psychological Association, Washington, DC. Puente, A. E. (2012). History and Update on Changes to the CPT Coding System. Presentation at the Ethics Committee meeting of the American Psychological Association, Washington, DC. Puente, A. E. (2012). Psychotherapy CPT codes. Presentation at the Ethics Committee meeting of the American Psychological Association, Washington, DC. Puente, A. E. (2012, November). The cultural in cross cultural neuropsychology. Presentation at the 110th Anniversary of Alexander Luria’s Birthday meeting of the Moscow International Congress, Moscow State University, Moscow, Russia. Puente, A. E. (2012). The new CPT codes – Putting them into action. Webinar presentation to the North Carolina Psychological Association at the University of North Carolina Wilmington, Wilmington, NC. Puente, A. E. (2012). The new educational and psychological test standards: Focus on fairness. Presentation at the meeting of the University of Georgia, Athens, GA.
Puente, A. E. (2012, November). The cultural in cross-cultural neuropsychology. Presentation at the 110th Anniversary of Alexander Luria’s Birthday meeting of the Moscow International Congress, Moscow State University, Moscow, Russia. Puente, A. E. (2012, November). The effects of recent changes in the current procedural terminology (CPT) on the practice and science of psychology. Paper presentation at the the 32nd annual meeting of the National Academy of Neuropsychology, Nashville, TN. Puente, A. E., & Musher, J. S. (2012, November). Psychotherapy. Presented at the CPT and RBRVS 2013 Annual Symposium, Chicago, IL. Puente, A. E., Postal, K. S., & Rasin-Waters, D. (2012, November). Health care reform and implications for neuropsychology: Hosted by the PAIC and LAAC committees. Presentation at the 32nd annual meeting of the National Academy of Neuropsychology, Nashville, TN. Rasin-Waters, D., Puente, A. E., Georgoulakis, J. M. (2012, August). Update on documentation strategies – Accountability, correct CPT coding, audits, and compliance. Paper presentation at the 120th annual convention of the American Psychological Association, Orlando, FL. Wiegand, L. A., Hughes, H., Hernandez, M., Lindsey, H. M., Zink, D., Steed, A., Pearce, G., & Puente, A. E. (2012, August). Improving neurological testing measures for traumatic brain injury in military veterans. Poster session presented at the 120th annual convention of the American Psychological Association, Orlando, FL. Wiegand, L., Lindsey, H. M., Hernandez, M., & Puente, A. E. (2012, November). Traumatic brain injury in the military population: Differences in neuropsychological outcome, examining blast subtypes mounted versus dismounted. Poster session presented at the 32nd annual meeting of the National Academy of Neuropsychology, Nashville, TN. Wynkoop, T. F., Morgan, J., Austin, B., Spencer, T. R., & PAIC Committee (2012, November). Advanced reimbursement issues – 2012 update: Professional Affairs and Information Committee (PAIC). Presentation at the 32nd annual meeting of the National Academy of Neuropsychology, Nashville, TN. Zink, D. N., Withers, K., Dedman, Hernandez, M., Jackman Venanzi, T., Lindsey, H. M., Wiegand, L., Hughes, H., Fasfous, A., & Puente, A. E. (2012, March). A novel collaborative mental health practice model for the treatment of mental illness of the Spanish speaking indigent and uninsured. Paper presentation at the Spring Conference meeting of the North Carolina Psychological Association, Charlotte, NC. Puente, A. E. (2013, April). Coding, billing, and documenting healthcare services. Presentation at the meeting of the National Academies of Practice, Alexandria, VA.
Puente, A. E. (2013, April). The new psychotherapy CPT codes. Presentation at the meeting of the Division of Professional Practice of the North Carolina Psychological Association, Chapel Hill, NC. Puente A. E. (2013, October). Auditing neuropsychological services. Presentation at 33rd annual convention of the National Academy of Neuropsychology, San Diego, CA. Capps, J., Francis, M., Lindsey, H., Withers, K., Dedmon, A., Sekely, A., Cadwell, M., Wisnoski, J., Wiegand, L., Puente, A. E., & Steed, A. (October, 2013) Post-Traumatic Stress Disorder in a large veteran sample: Results of the Traumatic Symptoms Inventory. Presented at the UNCW Fall Student Showcase, Wilmington, NC. Capps J., Francis, M., Lindsey H., Withers K., Dedmon A., Sekely A., Cadwell M., Wisnoski J., Wiegand L., Puente A. E., Steed A. (October, 2013) Neuropsychological evaluation of military traumatic brain injury. Presented at the UNCW Fall Student Showcase, Wilmington, NC. Capps, J., Francis, M., Lindsey, H., Withers, K., Dedmon, A., Sekely, A., Cadwell, M., Wisnoski, J., Wiegand, L., Puente, A. E., & Steed, A. (November, 2013) Neuropsychological description of blast injuries: Traumatic brain injury in a large veteran sample. Presented at the 20th Annual North Carolina Psychology Undergraduate Conference, Durham, NC. Cadwell M., Capps J., Francis, M., Lindsey, H., Withers, K., Dedmon, A., Sekely, A., Wisnoski, J., Wiegand, L., Puente, A. E., & Steed, A. (November, 2013) PTSD in a large veteran sample: Results of the Traumatic Symptoms Inventory: Loss of consciousness effects. Presented at the 20th Annual North Carolina Psychology Undergraduate Conference, Durham, NC. Puente, A. E. (2013, June). Coding, billing, & documenting professional psychological services. Presentation at the meeting of the North California Neuropsychology Forum, San Francisco, CA. Puente, A. E. (2013, August). 360 advocacy for neuropsychology. Presentation at the 121st annual convention of the American Psychological Association, Honolulu, HI. Puente, A. E. (2013, August). APA Ethics Committee presents: Hot topics in ethics. Presentation at the 121st annual convention of the American Psychological Association, Honolulu, HI. Puente A. E. (2013, October). CPT as a model for professional neuropsychological practice. Presentation at 33rd annual convention of the National Academy of Neuropsychology, San Diego, CA. Puente, A. E. (2013, August). Different views of fairness in measurement and testing: What is bias? Presentation at the 121st annual convention of the American Psychological Association, Honolulu, HI. Puente, A. E. (2013, August). Effects of recent changes in changes to the CPT system and the National Health Care Legislation on the practice of neuropsychology. Presentation at the 121st annual convention of the American Psychological Association, Honolulu, HI. Puente, A. E. (2013, September). Perspectivas psicologias en el cuidado de la diabetes. Presentation at Universidad Autónoma de Ciudad de Juárez. Mexico. Puente, A. E. (2013, October). Integrative care. Presentation for the American Medical Association. Los Angeles, CA. Puente, A. E. (2013, September). Neuropsicologia clinica: Fundamentacion y trayectoria en conjunto de la psicologica. Presentation at Universidad Autónoma de Ciudad de Juárez. Mexico. Puente, A. E. (2013, December). Neuropsychological assessment of TBI & blast injuries – project description. Presented at the University of Granada, Spain. Puente, A. E. (2013, December). Neuropsicologia forense. Presented at the University of Granada, Spain. Puente, A. E. (2013, August). Technology as a “cultural issue”. Presentation at the 121st annual convention of the American Psychological Association, Honolulu, HI. Puente, A. E., Steed, A., Johnson, K., Capps, J., Francis, M., Lindsay, H., Withers, K., Dedmon, A., Sekely, A., Cadwell, M., Hernandez, M., Wisnoski, J., & Wiegand, L. (2013, October). Neuropsychological description of blast injuries: The Camp LeJeune Blast Data Set. Presentation at 33rd annual convention of the National Academy of Neuropsychology, San Diego, CA. Puente, A. E., & Musher, J. S. (2013, November). CPT and RBRVS 2014 annual symposium. Presented at American Medical Association Annual Meeting, New Harbor, MD. Puente, A. E., Steed, A., Johnson K., Capps J., Dedmon A., Francis M., Lindsey H., Withers K. (April, 2013) Neuropsychological Evaluations of Military Traumatic Brain Injury: An Overview of Sample Composition and Blast Battery Performance. Presentation at the Spring Conference meeting of the North Carolina Psychological Association, Charlotte, NC. Puente, A. E., Steed, A., Johnson, K., Capps, J., Francis, M., Lindsay, H.,, Withers, K., Dedmon, A., Wiegand, L., Sekely, A., Cadwell, M., & Wisnoski, J. (2013, September). Neuropsychological evaluations of military traumatic brain injury: Sample composition and blast battery performance. Presentation at the UNCW Hispanic Faculty Research Forum, Wilmington, NC. Whithers, K., Puente, A. E., Dedmon, A., Capps, J., Lindsey, H., Francis, M., Weigand, L., & Steed A. (2013, October). Processing speed in traumatic brain injured war veterans. Presentation at 33rd annual convention of the National Academy of Neuropsychology, San Diego, CA. Puente, A. E., Lindsey, H., Dedmon, A., Capps, J., Whithers, K., Weigand, L., & Steed, A. (2013, October). Neuropsychological Description of Blast Injuries: The Camp LeJeune Blast Data Set. Presentation at 33rd annual convention of the National Academy of Neuropsychology, San Diego, CA. Puente, A. E. (2013, October). CPT as a Model for Professional Neuropsychological Practice. Presentation at 33rd annual convention of the National Academy of Neuropsychology, San Diego, CA. Puente, A. E. (2013, October). Auditing Neuropsychological Services. Presentation at 33rd annual convention of the National Academy of Neuropsychology, San Diego, CA. Capps, J., Francis, M., Lindsey, H., Withers, K., Dedmon, A., Sekely, A., Cadwell, M., Wisnoski, J., Wiegand, L., Puente, A. E., & Steed A. (October, 2013) Neuropsychological Evaluation of Military Traumatic Brain Injury. Presented at the UNCW Fall Student Showcase, Wilmington, NC. Cadwell, M., Capps, J., Francis, M., Lindsey, H., Withers, K., Dedmon, A., Sekely, A., Wisnoski, J., Wiegand, L., Puente, A. E., & Steed, A. (November, 2013) PTSD in a Large Veteran Sample: Results of the Traumatic Symptoms Inventory: Loss of Consciousness Effects. Presented at the 20th Annual North Carolina Psychology Undergraduate Conference, Durham, NC. Puente, A. E. (2013, December). 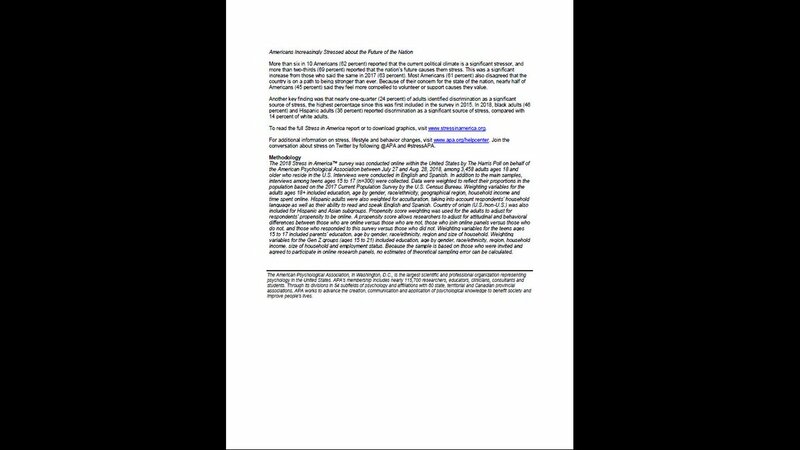 Neuropsychological Assessment of TBI & Blast Injuries-Project Description. Presented at Universidad de Granada, Spain. Puente, A. E. (2013, December). Neuropsicologia Forense. Presented at Universidad de Granada, Spain. Strutt, A. M. & Puente, A. E. (2014, February). Habla Ingles o Espanol? The neuropsychological assessment of Hispanics in the U.S. National Academy of Neuropsychology, Webinar. Puente, A. E., & Sutton, G. (2014, February). Application of biopsychological principles to neuropsychological assessment. Presented at the 106th Conference of the Southern Society for Philosophy and Psychology, Charleston, SC. Puente, A. E. (2014, April). Being at the table: I don’t want to leave leftovers for my kids. Presented at Ohio Psychological Association, Columbus, OH. Puente, A. E. (2014, April). NAP E-Journal: The Journal of Interprofessional Healthcare. Presentation at the National Academies of Practice, Alexandria, VA.
Wisnoski, J., Capps, J.W., Francis, M.A., Sekely, A.C., Cadwell, A.N., Puente, A.E., Steed, A., & Engelstatter, G.H. (August, 2014). The effects of blast-related traumatic brain injury on executive functions in a large veteran sample. In A.E. Puente (Chair), Neuropsychological assessment of blast injuries. Symposium conducted at the 122ndAnnual Convention of the American Psychological Association, Washington, DC. Cadwell, M.A., Puente, A.E., Francis, M.A., Capps, J.W., Wisnoski, J., Dedmon, A.N., Sekely, A.C., Steed, A., & Engelstatter, G.H. (August, 2014). Relationship of posttraumatic stress disorder and loss of consciousness. In A.E. Puente (Chair), Neuropsychological assessment of blast injuries. 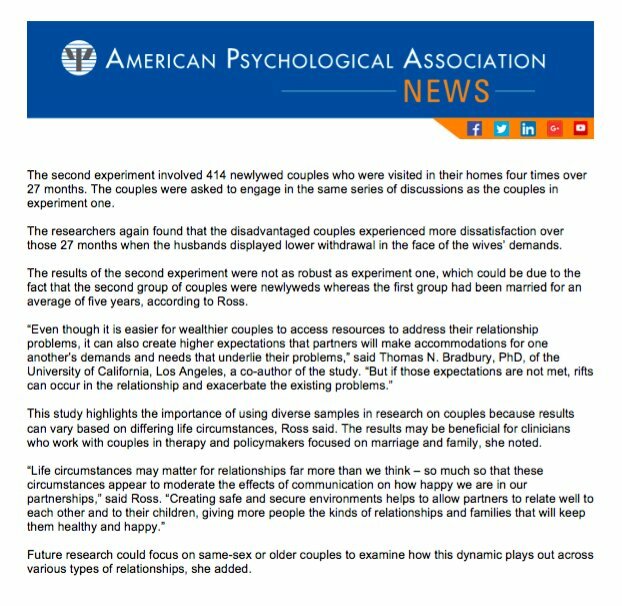 Symposium conducted at the 122nd Annual Convention of the American Psychological Association, Washington, DC. Puente, A. E. (2014, August). Overview of the 2014 Standards for Educational and Psychological Testing. Symposium conducted at the 122nd Annual Convention of the American Psychological Association, Washington, DC. Puente, A. E. (2014, August). Understanding the CPT Process As a Basis for the Professional Practice of Neuropsychology. Symposium conducted at the 122nd Annual Convention of the American Psychological Association, Washington, DC. Puente, A.E (2014, October). Adapting Professional Practice with Health Reform Changes. Workshop presented at the Virginia Psychological Association. Richmond, VA.
Puente, A.E. & Hernandez, M. (2014, October). Evaluation of Intellectual Abilities in Spanish Speakers: Death Penalty Evaluations. Presented at the Hispanic Neuropsychological Society. Jamaica, NY. Puente, A.E. (2014, October). 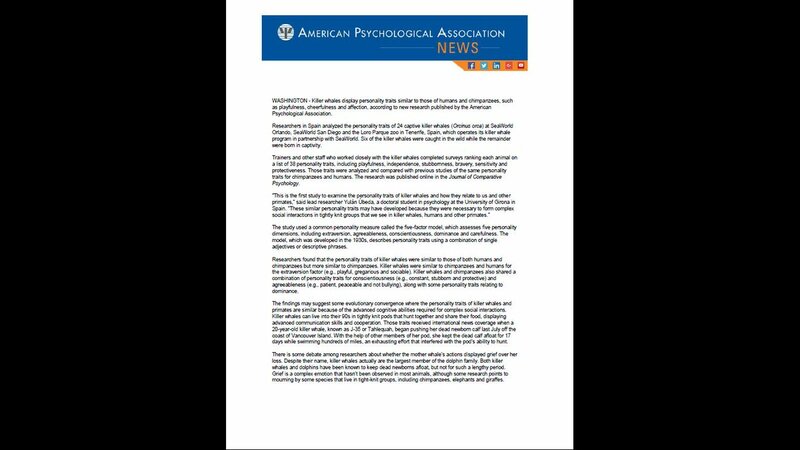 Challenges and Solutions Facing Professional Psychology. Presented at Tennessee Psychological Association. Nashville, TN. Puente, A.E. (2014, November). Current Procedural Terminology as a Model for Professional Neuropsychological Services. Invited symposium for the Puerto Rico Psychological Association. Fajardo, Puerto Rico. Salinas C.M., Mindt M.R., Vega C., Bender H.A., Llorente A., Octavio Santos O., Puente, A.E. (2014, November) Cultural Neuropsychology Round Table: Training Issues and Methods for Gaining Competence in Working with Diverse Individuals. Invited symposium for the Puerto Rico Psychological Association. Fajardo, Puerto Rico. Mejia, A., Hernandez, M., Lindsey, H., Puente, A.E. (2014, November). Distinctions Across Different Spanish WAIS-III Similarities and Digit Span Subtests across Mexican and Central American-Born Individuals. Poster presented at 34rd Annual National Academy of Neuropsychology, Fajardo, Puerto Rico. Francis, M. A., Wisnoski, J., Capps, J. W., Dedmon, A., Puente, A. E. (2014, November). Processing Speed in Veterans Does Not Appear to be affected by Loss of Consciousness or Number of Times Blasted. Poster presented at 34rd Annual National Academy of Neuropsychology, Fajardo, Puerto Rico. Puente, A. E. & Glancy, M. (2014, December). Proving Deficits in Adaptive Functioning. North Carolina Advocates for Justice, Greensboro, NC. Hernandez, M. & Puente, A.E. (2015, January). An Assay of Three Spanish Versions of the Wechsler Adult Intelligence Scale – Third Edition (WAIS-III). Poster presented at the Council of University Directors of Clinical Psychology, Albuquerque, New Mexico. Puente, A.E (August, 2015). Latinos and Death Penalty: From Lynching to Evaluating Spanish Speakers. Presented at the National Habeas Corpus Conference, Charlotte, North Carolina. Puente, A. E. (April, 2016). Globalization of psychology. The First Congress of Psychology at the University of Bethlehem. Bethlehem, Palestine. Puente, A.E. (June, 2016). The Challenges and Status of Neuropsychological Assessment of Spanish Speakers. Presented at 1er Congreso Iberoamericano de Neuropsicologia. Bilbao, España. Giordano, D.J., Collie, K.M., Rios, J., Smelik, C.J., Soni, B.S., Brantley, L.A., Piccolino, A.L., Miller, V.F., & Puente, A.E. (2017, March). Archiving Psychology’s First Nobel Prize Winner: Challenges and Successes of Archiving the Life and Works of Roger W. Sperry., Key Barkley Symposium on the History of Psychology. Symposium conducted at the Southern Society for Philosophy and Psychology, Savannah, GA.
Puente, A.N & Puente, A.E. (2017, June). Mental health care for Hispanics with chronic health and terminal conditions. Presented at the National Hispanic Medical Association. Washington, D.C.